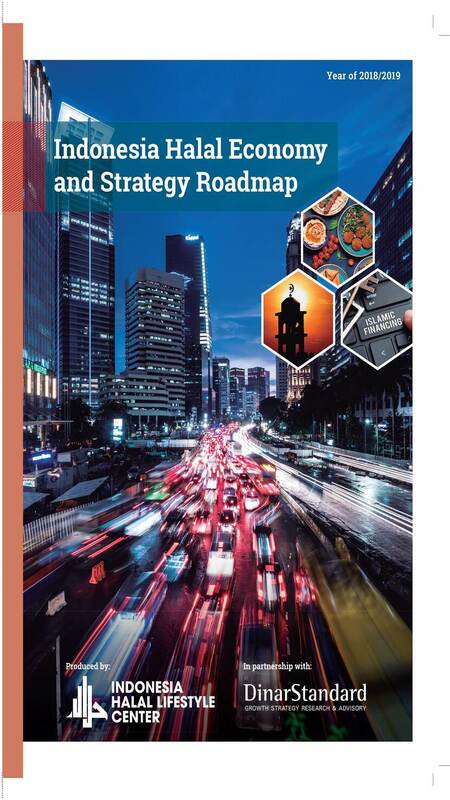 You are here: Home » Regional news » Asia » Indonesia Halal Economy and Strategy Roadmap 2018/2019 Launched! With the largest Muslim population in the world, Indonesia aims to be the Engine of the Global Halal Economy. The country has large production, export and import basis of halal products in key sectors such as food and beverage, fashion and lifestyle, pharmaceuticals, and cosmetics. The report explains on strategies and roadmap of Indonesian Halal Economy with the vision to enable the country as an engine of Indonesia’s macroeconomic growth and leading influence across Muslim world. Although the report mentions that Indonesia has substantial potential but has no clear Halal Economy proposition yet, it recommends a comprehensive five year strategy for Indonesia to set its leadership paths in the global halal industry. What is Halal Economy and what does it mean to Indonesia as a market destination? According to the 2014 Edition of the State of the Global Islamic Economy Report from Thomson Reuters, Halal Economy comprises sectors whose core products and services are structurally affected by Islamic Law, values driven consumer lifestyle and business practices. The Halal economy has emerged as a promising driver of growth both at microeconomic and macroeconomic levels with a clear link to GDP growth and job creation. However, what about the global opportunity? The Halal economy is a multi-trillion dollar opportunity that captures the core of faith-based Muslim spend. The sectors covered in the report includes: food, pharmaceuticals, cosmetics, modest fashion with an additional focus on Muslim-friendly travel, Islamic-themed media and recreation, as well as Islamic finance. How does Indonesia’s Muslim spend across Halal Economy sectors look like? Indonesia’s domestic Halal Economy opportunity with 219 million Muslims does represent the world’s largest market. The people spent $218.8 billion in 2017 across core Halal Economy lifestyle market and is a symbol of an exciting end consumers for global industries on lifestyle sectors. Gradually there is increasing demand for sharia standard especially in food and fashion. Key opportunity is to more understand the Indonesia’s consumer demands with the general profile of predominantly young, digitally naïve, fiercely loyal but open to switching if the price is right across a range of products.